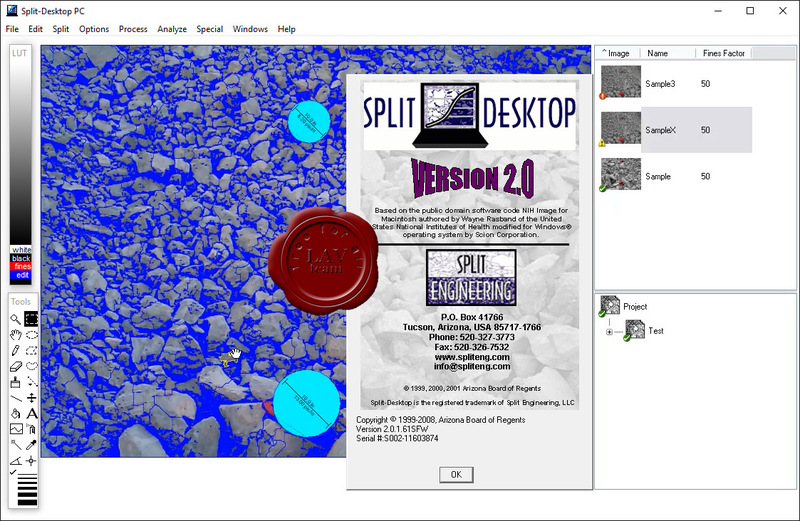 Split-Desktop is the industry approved software standard for manual, off-line coarse rock fragmentation size determination. More than 500 licenses have been sold in its 16 year history. 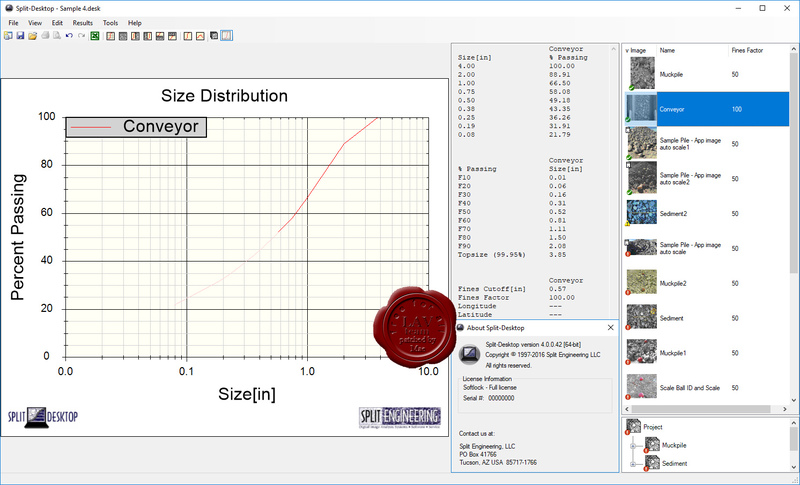 Digital images acquired in the field can be analyzed on a laptop or at the office to determine the particle size distribution of your fragmented rock at any stage in the comminution process. The source of these images can be a muck pile, haul truck, leach pile, draw point, waste dump, stockpile, conveyor belt, rip rap, sediment or any other situation where clear images of rock fragments can be obtained. Within Split-Desktop, the images are manually scaled and edited for optimum accuracy.